When you browse Radio Iran Los Angeles Web site, you do so anonymously. Personal information — including your e-mail address — is not automatically collected. Our Web site, however, may request that you voluntarily supply us with personal information, including your E-mail address for purposes of participating in correspondence, site registration, streaming player registration, membership, making a purchase, contests, online surveys, to contact you as part of a promotion, to meet legal requirements, to keep you informed about products and services in which you may have an interest, and/or to analyze the collected information and use this data for contacts by research firms. For these types of activities we may require your name, e-mail address, gender, zipcode, birthdate or other information. Other optional information may be asked (listener/customer preference information, mailing address, telephone numbers, lifestyle interests, and other demographic information). Like many other commercial Web sites, 670AM site may use a standard technology called a “cookie” to collect information about how our site is used. Please read About Cookies below for more information. We give listeners/customers access to their data online. A listener/customer may change, update or add additional information about themselves at any time through our radio stations’ web sites, which offer this feature. We attempt to limit access to listener/customer data to those who specifically need it to conduct their business with the company. While we use security techniques designed to protect our listener/customer data, given constantly changing technologies that may exist, we do not guarantee the security of our listener/customer data. If you provide us with your E-mail address, or have done so in the past, we may send you E-mail offers, surveys, newsletters or other types of contacts. These are based on information you provided in your membership application, registration forms, in surveys, from information that may indicate purchasing preferences and lifestyle, as well as information available from external sources, such as census bureau data. We use information generally to compile statistical and user profile data, to perform research using the compiled data including disclosure of user information to research firms retained by 670AM KIRN, to keep in contact with users and provide them with a better interactive experience. We may use your information specifically for the following purposes: to provide easy access every time you return to the site without requiring re-entry of registration information; to keep you informed about products and services in which you may have interest; to complete business transactions; to contact you as part of a promotion; to allow you to make a posting on the Site; to administer individual accounts; to provide customer support; to meet legal requirements; to provide Internet security; and/or to analyze the collected information and use this data for contacts by research firms. Also, in the event that company or the radio station is involved in a sale of a substantial portion of our business assets, listener/customer information may be among the transferred assets. We work closely with our business partners and certain other third parties who may perform functions on our behalf, such as fulfilling orders, providing promotional materials to our users, sending e-mail, managing data, processing credit card payments or providing customer service. They have access to your personal information only to the extent necessary to perform their functions and may not use it for any other purpose. Further, these business partners and other third parties may from time to time wish to extend special offers to you on their own behalf. We may use your personal information to assist our business partners in offering you these products, services and information and may act as an intermediary (for instance, sending you e-mail on their behalf). The data you provide is used to enhance the services and offers our radio stations bring you. 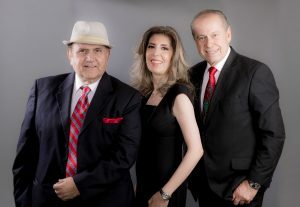 As a result of providing personal information, 670AM KIRN radio Iran Los Angeles can provide a more customized online experience, making your interaction with us more productive, helpful and fun. You can also expect to receive occasional communications targeted directly toward your lifestyle interests. 670AM KIRN does not knowingly solicit data from children, and we will not knowingly market to children.Radio Iran Los Angeles adheres to COPPA – the Children’s Online Privacy Protection Act. Our websites are general audience websites which are not directed to children generally, including children under the age of 13. It is our policy to discard any information which is obtained from any child who is under the age of 13. What else should I know about my privacy? Third party Internet sites and services accessible through Radio Iran Los Angeles have separate privacy and data collection practices, independent of us. Radio Iran Los Angeles has no responsibility or liability for these independent policies or actions. In addition, you are solely responsible for maintaining the secrecy of your passwords, membership ID, or any account information. Please be careful and responsible whenever you are online. If you post personal information online that is accessible to the public, you may receive unsolicited messages from other parties in return. While we aim to protect your personal information, Radio Iran Los Angeles cannot ensure or warrant the security of any information you transmit to us, and you do so at your own risk. We will make all reasonable efforts to adhere to the above privacy standards. However, the policy should not be construed as a contractual undertaking. Additional restrictions may be imposed to comply with state and local laws, and/or station specific programs, products and services. 670AM KIRN reserves the right to alter, amend or supplement the privacy standards at anytime.